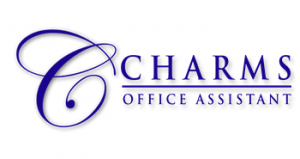 WHAT IS CHARMS OFFICE ASSISTANT? Charms is an office assistant program which helps us organize our information within the Harrison Orchestra Program. Charms was originally created for large music programs, and functions well for the needs of organizing the Harrison Orchestras. As a parent, Charms will help you with getting information from the directors via email by updating your contact information. This information is accessible to you 24 hours a day and it’s as easy as a few simple clicks! Once you are logged in, click “Update Info” icon at the bottom left of the screen. At your (student) information page, be sure to type in the following: home address & phone numbers, student email & cell phone number. Click the blue “Add New Adult” icon at the bottom left of the screen, and enter parent’s info, especially email. Be sure to click the green “Update” icon at the top right of the screen before exit. THANK YOU for helping out the Harrison Orchestra by updating your information!